A non-compete agreement is an agreement between an employee and the employer in which the employee agrees not to work for a competitor for a specific period immediately after leaving the current employer. The benefits of a non-compete to employers are clear: the business owner can operate their business and provide employees with important information while diminishing the worry that these employees will leave and open a competing business across the street using the knowledge and contacts acquired during their employment. Louisiana, however, has a strong public policy interest disfavoring non-compete agreements between an employer and an employee “based upon an underlying state desire to prevent an individual from contractually depriving himself of the ability to support himself and consequently becoming a public burden.”[I] Louisiana does not want its workers to contract themselves out of being able to learn a living. While Louisiana courts will, and routinely do, strike down non-competes between employers and employees that do not comply with the statute’s strict requirements,[IV] courts in other states are not so sympathetic to Louisiana’s public policy concerns, especially when the agreement contains a choice of law provision specifying the application of another state’s law. Faced with the prospect of a “race to the courthouse”, a Louisiana forum may look favorable either to an employee seeking to invalidate a non-compete provision that does not comply the strict requirements of Louisiana Revised Statute 23:921 or to an employer seeking to affirm a non-compete that does comply. Even if an employer may be in trouble in Louisiana because the non-compete does not meet the statute’s requirements, the applicability of the statute outside of Louisiana will depend on a multitude of other factors, including the law of other competing forums. Interestingly, the statute identifies only one profession in Louisiana that enjoys the benefit of an absolute bar on any non-compete agreement [XIII] preventing the performance of the individual’s job in this particular field. And what is this seemingly sacred profession that the statute identifies as entitled to protection above all others? An automobile salesman. [XIV] To date, no non-Louisiana court has interpreted Louisiana’s specific and absolute bar on an automobile dealer’s non-compete agreement, but such a case could test the outer limits of Louisiana Revised Statute 23:921’s nationwide applicability. Crafting a non-compete that complies with Louisiana’s restrictions can be difficult. Crafting a non-compete involving Louisiana choice of law issues presents an even greater challenge and requires a careful analysis of the employer’s and employee’s specific situation. If you are an employer or employee facing a potential issue with a non-compete, it is best to consult a lawyer before entering into any such agreement. Otherwise, an employer may see their next competitor emerge from within and set up shop across the street, and an employee may need to consider a one or two-year hiatus from their chosen profession. Luckily, if this scenario does arise, the employee can always turn to their nearest car dealership. 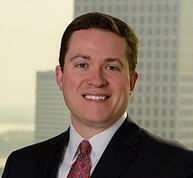 Brandon T. Darden, an associate in the firm's New Orleans office. [I] Bell v. Rimkus Consulting Grp., Inc. of La., 07-996 (La. App. 5 Cir. 3/25/08, 5), 983 So.2d 927, 930, writ denied sub nom., 2008-0891 (La. 6/20/08), 983 So.2d 1276. [IV] See e.g., Bell, 983 So.2d at 927. [V] Restatement (Second) of Conflict of Laws § 187 (1971). [VI] Louisiana law, however, will apply to agreements in Louisiana. See La. R.S. 23:921(A)(2) (“The provisions of every employment contract or agreement, or provisions thereof, by which any foreign or domestic employer or any other person or entity includes a choice of forum clause or choice of law clause in an employee's contract of employment or collective bargaining agreement, or attempts to enforce either a choice of forum clause or choice of law clause in any civil or administrative action involving an employee, shall be null and void except where the choice of forum clause or choice of law clause is expressly, knowingly, and voluntarily agreed to and ratified by the employee after the occurrence of the incident which is the subject of the civil or administrative action.”). [VII] United Rentals (N. Am. ), Inc. v. Myers, No. 3:03-CV589, 2003 WL 23507021, at *1-3 (D. Conn. April 22, 2003) (applying Louisiana law to non-compete despite contract’s Connecticut choice of law when employer’s only contact with Connecticut was its state of incorporation). [VIII] See Stryker Corp. v. Ridgeway, No. 1:13-CV-1066, 2014 WL 3577636, at *5 (W.D. Mich. July 21, 2014) (Louisiana did not have materially greater interest than Michigan when employer was based in Michigan, non-compete contained Michigan choice of law, and application of Michigan law was not “fundamentally contrary” to Louisiana’s public policy). [IX] Emerald Foam Control, LLC v. Harrison, No. 08-CV-250-D, 2009 WL 10665591, at *2-3 (D. Wyoming April 2, 2009) (Louisiana did not have materially greater interest than Wyoming or “any of the many other states implicated by the [employee’s] employment contract” and when the contract specified Wyoming choice of law). [X] Zimmer, Inc. v. Sharpe, 651 F. Supp. 2d 840, 850-52 (N.D. Ind. 2009) (Indiana law’s requirement that non-competes contain reasonable restrictions did not offend Louisiana’s “fundamental public policy” even though Louisiana had a materially greater interest in determining the enforceability of its citizen’s restrictive covenant). [XI] Rimkus Consulting Group, Inc. v. Cammarata, 257 F.R.D. 127 (S.D. Tex. 2009). [XIII] Attorneys are barred from even signing or requesting one another to sign a non-compete agreement by their code of professional conduct. See La. R. Prof’l Cond. §5.6.